We provide individualized, comprehensive, hands-on Physical Therapy in Bend, Oregon. From the sports-related injury to the motor vehicle accident to the pain that occurred without a specific cause. We are committed to helping you achieve your goals and reach a better state of Wellness. Comprehensive, Compassionate, Committed to Quality Care. We approach each client with compassion from the moment they walk through the door. Our office and staff provide you with a calming and welcoming atmosphere that will allow you to relax and know you are in competent hands. You can be assured that you are in competent Hands at Hands On Physical Therapy no matter who is treating you. 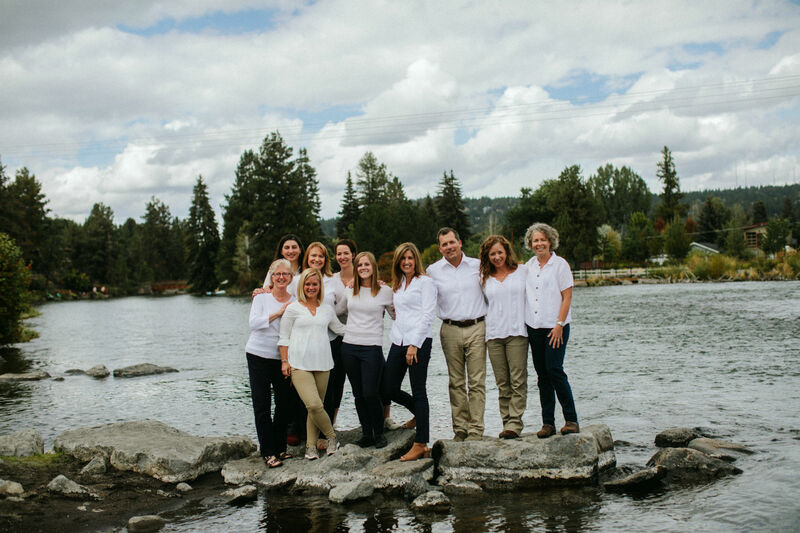 Under the guidance of Steve Leary, PT and Lisa Kennedy-Leary, PT, each with over 25 years experience in the field, the HOPT team of Physical Therapists seek to treat with a comprehensive approach. Like detectives, they will help uncover the “why” of a problem to get to the root of the cause. You will receive 1 on 1 physical therapy for approximately 60 minutes. You will be treated by a licensed Physical Therapist. If deemed appropriate your team may also consist of a Physical Therapy Assistant. However, we will not transfer you to an aide or athletic trainer as often happens in some of the bigger facilities. I have been a client for almost two years and Lisa has changed my life. I have scoliosis and was having severe back pain. Everyone in the office cares about each and every one of their clients. Stacy, Sandy, Mary and the crew - love all of them! Hands On Physical Therapy has revolutionized my life. Lisa Kennedy-Leary is a Schroth (treatment for scoliosis) expert, and her knowledge and ingenious appraisal of my physical conformation and habits are helping me to reassess my entire posture. PT assistant Stacey Allen continues Lisa's work extremely effectively. Both women are extremely friendly and accommodating: they listen to their patients and assess their needs expertly. The experience I've had with Hands On is the most complete, most life-improving experience I've ever had with physical therapy. I give my highest recommendation to the stellar treatment I've received there. I have been a patient at HOPT for a little over a year. I have had a long history of back pain due to Scoliosis and have tried physical therapy many times over the past 50+ years since my diagnosis. I have finally been taught exercises from Lisa that have specifically addressed my needs and have helped me learn what to do to help reduce my back pain, improve my posture, and learn how to make adjustments in my day to day activities. I especially feel that Lisa listens well to all my concerns and treats my “whole-self”, not just my back. And the staff at HOPT are wonderful……they are very helpful and very friendly. I appreciate them all so much and I am very thankful I found HOPT. Having sustained multiple fractures to my leg, arm, hip and neck in a major automobile accident, I underwent significant rehabilitation after months of immobility. When I came to Hands-On, I had been “walking” for months, and I had been told that, given my injuries, my gait and movement would be compromised. I hobbled and limped. I was in constant pain. Because I had not been trained to be aware of body mechanics, I could not use my body efficiently, so I often aggravated my existing injuries—or I created new ones. With the attentive guidance, progressive therapy, and stable encouragement of Hands-On therapists and staff, I have been able to manage my pain while fully engaging in both my work and my recreational activities. Individualized exercises have helped me build core muscles and use my body effectively so that I have more power and greater stamina. Therapeutic sessions, along with kinesio-taping techniques, have helped me enjoy a vital life, where I can move with confidence as well as ease. Most importantly, Hands-On therapists and staff provide a positive environment where health and healing are nurtured. In their care, I have learned that I can, despite my core injuries and degenerative conditions, improve the quality of my life. "Jen is a miracle worker! After 1 session, I had 95% improvement in mobility and decreased pain. Jen is very good at pinpointing the root cause of the stated problem and then recommending a reasonable and doable home care/treatment routine. This was probably the best and most successful PT experience I've ever had! To help you along your journey to better wellness we also offer Functional exercise classes, Pilates, Yoga, and Therapeutic Massage.